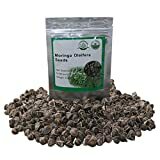 HOO PRODUCTS -10pcs/bag Moringa seeds moringa oleifera seeds Edible seed bonsai potted moringa tree seeds DIY plant for home garden Cheap! The Moringa Tree: What you don't know can HEAL you! 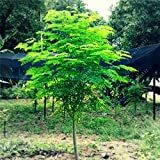 Moringa tree for sale – Easy plant to grow with edible leaves, fruits, seeds, flowers and roots, also grown for the ornamental tree, planting in spring to summer (colder weather) and autumn to winter (in warmer weather), better to buy plant or another option to start from seeds. Growing information: perennial plant, growing hardiness zone: 9+, water needed – small to average amount, light conditions – full sun to partial shade, height: 5-10m, 15-30 feet. Leaves harvesting can be all the year in oval shaped leaves that appear in green color, leaves can be used in salad or cooked. Blooming harvesting in cold areas: spring-summer, in tropic all year, flowers that appear in white-cream color, flowers can be used in salad or cooked. Fruits harvesting in cold areas: summer-autumn, in tropic all year in pod shaped pods that appear in green color can be used in cooked in variety of maturity (different use for different kind of maturity). Seeds harvesting when they dry and can be used as sweetener. Roots harvesting can be all the year but need to do it when the tree it’s young.